Not to join Patriotic Assoication - a puppet "church" created by the Chinese Government in 1957. A Roman Catholic Priest was sentenced to 2 years of reform through labor for these "crimes". Stamford, Connecticut, U.S.A. - Father Charles BoLe Guo, age 58, is a Roman Catholic priest in China. He was falsely accused of being a "counter-revolutionary" in 1956 and was sentenced to 5 years in prison. He was released early in 1957 through the government's recognition of his unj ust sentencing. He was re-arrested again in December of the same year and sent to a labor camp in Qing Hai province. This time it was for 28 years until about 1985 without any specific charge being filed. It should be noted that this long period of "re form through labor" was completely glossed over in the attached "Decision Letter". On the feast day of All Saints, November 1, 95, Father Guo was arrested again while celebrating Mass on a boat for about 250 fishermen. He was accused of "illegal religious activity". 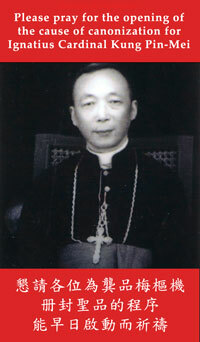 The Cardinal Kung Foundation has recently received a copy of the "decision letter" issued by the "Reform Through Labor Management Committee" (attachment 1 in English, attachment 2 in Chinese) sentencing Father Guo for an additional two years for th e following "crimes": offering Mass, administering the Sacrament of the sick, promoting the Roman Pontiff, boycotting the puppet church of the State known as the Patriotic Association, establishing illegal underground evangelical church centers, organ izing catechetical institutes and teaching bible classes for primary and high school students. As the result, Father Guo is once again in the labor camp. The "decision letter" is unequivocal evidence that there is no freedom of religion in China. The "crimes" with which Father Guo was charged represent nothing more than fulfillment of his priestly ministry. 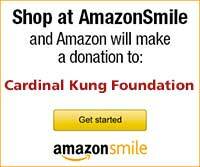 The Cardinal Kung Foundation hereby rele ases the exact text of the "decision letter" as a clear example to prove once again that not only there is no freedom of religion in China, but also faithful of many religions are gravely persecuted. Despite such clear evidence, many foreigners including Americans are misled in believing that China is a friendly country and that they should simply continue to accord such a repressive regime "most favored nation trade status". This is wrong. Elimination of that economic benefit should not most likely co me from complaints that China is stealing intellectual property of other nations and engaging in unfair trade practices, but also should come from such blatant human rights violations which are apparently and conveniently passed over indulgently by busine ss.